Sweet suburbia. Enjoy it for all of five seconds, with its pristine butler bots and Thunderbirdian automobiles, before the whole thing’s blown away by mutually-assured destruction. It’s the comfortably horrifying set-up we’re all familiar with – but rendered in expensive-looking live action by Bethesda. Lovingly so. Here’s everything there is to know about Fallout 4 system requirements, mods and all that malarky. Entitled ‘The Wanderer’ and set to the 1961 Dion hit of the same name, the clip features cameos from some of Fallout’s favourite faces: Dogmeat; sentry bot; nuka cola machine; anonymous radroach. “I roam from town to town and go through life without a care / I’m as happy as a clown with my two fists of iron, but I’m going nowhere”. A fittingly nihilistic song choice. 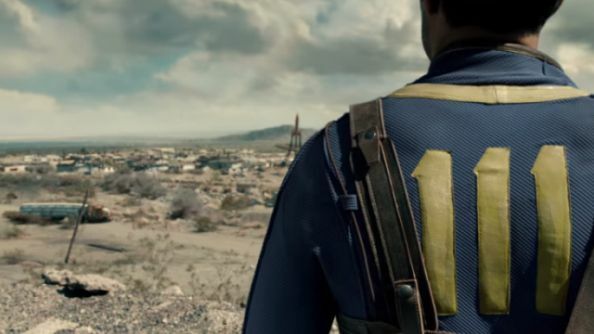 Fallout 4 is out on November 10th, which, gosh, doesn’t seem so far away all of a sudden. How are you preparing?